Brow Build boosts brows and adds definition in seconds. Its long lasting formula with built in fibres defines and enhances existing brows, promoting healthy hair growth to achieve a natural shape. Available in four shades, use the wand applicator to sweep across hairs to create full and precise brows. Aqua (Water), Acrylates/Ethylhexyl Acrylate Coplymer, Acrylates Copolymer, Propylene Glycol, Cera Alba (Beeswax), Talc, Alcohol Denat., Copernicia Cerifera Cera (Carnauba Wax), Butylene Glycol, Nylon-6, Polysorbate 60, Sorbitan Stearate, Caprylyl Glycol, Glyceryl Stearate Se, Phenoxyethanol, Ethylhexylglycerin, Hydroxyethylcellulose, Chlorphenesin, Glycerin, Panthenol, Silica, Sodium Citrate, Xanthan Gum, Laureth-21, Biotin, Peg-40 Hydrogenated Castor Oil, Sodium Dehydroacetate, [+/- Ci 77891 (Titanium Dioxide), Ci 77491 (Iron Oxides), Ci 77492 (Iron Oxides), Ci 77492 (Iron Oxides), Ci 77499 (Iron Oxides), Ci 77266 (Nano) (Black 2)]. Lovely application. Beats MAC again. 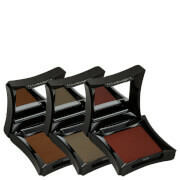 This is just the brow product I've been looking for - great color options, and the applicator makes it so easy to apply. 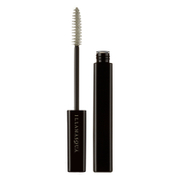 It's a bit too easy to go overboard with this product and it can leave your brows crispy. I feel like this color is too warm for most eyebrows. 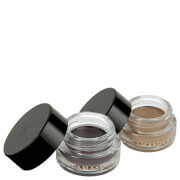 It's a bit too easy to go overboard with this product and it can leave your brows crispy. Color is pretty spot on though. Great brow gel, has tiny little fibres to give brows a natural finish, very impressed with the coverage of this - a little goes a long way- will be repurchasing when finished! Its good but I think because I have thin hairs I'm better off using a brush and powder. Its the right colour for me and you get a lot for your money but I just don't think its the right product for me. love this, without help I look like I have no eyebrows. I really like this! I thought it might have been too dark but it's not and you can really build up your eyebrows!